A team of Victoria University of Wellington researchers who have used world-beating science to develop technology that is earning millions of dollars has won New Zealand’s most valuable science prize. The 2010 Prime Minister’s Science Prize has been awarded to the Magnetic Resonance Innovation team that is led by Professor Sir Paul Callaghan. The team includes four of his former PhD students who have gone on to become internationally respected scientists in their fields. The team members come from both science and engineering disciplines and their initial work was carried out at Massey University, relocating to Victoria through the 2000s. The team is: Professor Paul Callaghan, Professor in the School of Chemical and Physical Sciences at Victoria; Dr Robin Dykstra, Senior Lecturer in the School of Engineering and Computer Science at Victoria; Dr Mark Hunter, Research Fellow in the School of Chemical and Physical Sciences at Victoria; Dr Andrew Coy, a physicist and Chief Executive Officer of Wellington technology company Magritek; and Dr Craig Eccles, a physicist and Chief Technology Officer at Magritek. The Prime Minister’s Science Prize combines recognition and reward, with the winning team receiving $500,000 of which $400,000 is earmarked for ongoing research. 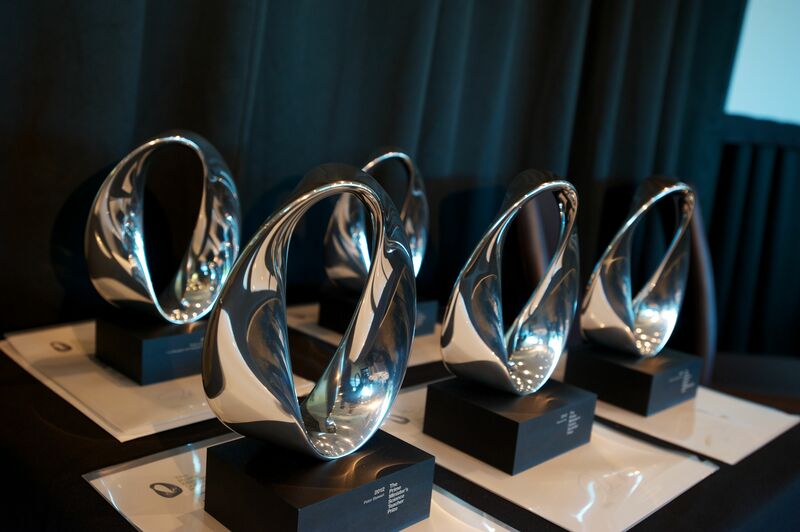 The prize is awarded for a transformative science discovery or achievement which has had an impact on New Zealand or internationally. Four other Prime Minister’s Science Prizes were also presented today. Professor Callaghan began researching the use of magnetic resonance (MR) as a probe of soft matter more than 35 years ago. The technique uses radio waves and magnetic fields to detect how molecules organise, orient and move. Professor Callaghan is now the world expert in some areas of MR research and his fellow team members have also made significant international impact. Discoveries by the team are widely used in medical magnetic resonance imaging (MRI) and materials science, have resulted in new imaging methods and research techniques and are opening up opportunities to use MR methods in agricultural and industrial applications. Innovations from the team are also being used to research climate change in Antarctica. Together the team has published 250 scientific papers, holds three patents and has a citation ‘h-index’ (which measures the productivity and impact of published work) of 46 which is the same as many Nobel Prize winners. It has attracted top students back to New Zealand and brought many of the world’s leading MR researchers from other countries here to work alongside the local MR research group. In 2004, technology company Magritek was formed by Victoria and Massey universities and the five scientists. Revenue from the company’s initial product, aimed at the tertiary education market, has financed new product lines including spectrometers, a rock-core analyser being sold to the petrochemical industry, and smaller, portable MR devices for industries such as food processing and medicine. Magritek is growing fast. It now has more than 15 employees and has increased revenue by 50 per cent in each of the five years it has been operating, through international sales. Two members of the MR Innovation team work for Magritek and the other three continue to generate knowledge at Victoria which feeds in to new products and technologies the company can sell. Professor Sally Davenport who heads the Management School at Victoria University says the MR Innovation team has been remarkably successful at commercialising its technology. Professor Callaghan has received many honours and awards during his career, but says he is especially proud to have been awarded the Prime Minister’s Science Prize. “It’s a wonderful thing to be recognised by your own country and to have your work seen as valuable. But the most exciting thing is that this prize goes to the whole team. We are different ages and bring different skills but all have been captivated by this area of research which not only has enormous applicability in industry, medicine and environmental science, but is also just beautiful science. 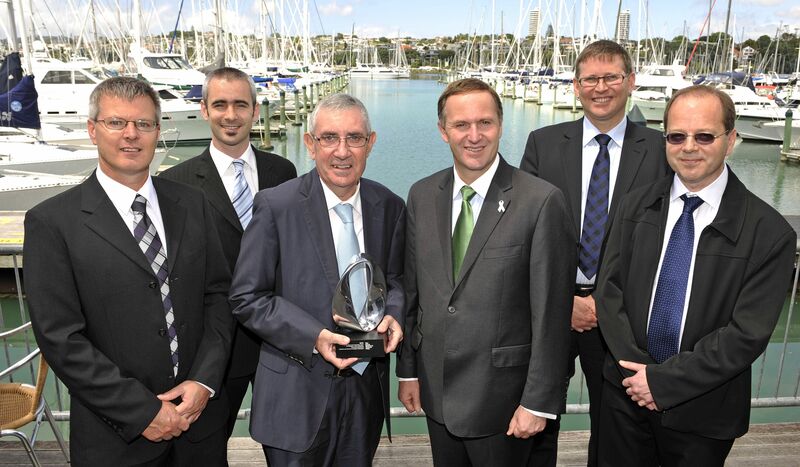 The MR Innovation team plans to use the $400,000 of prize money tagged for ongoing development of its technology to establish a PhD scholarship to allow exceptional New Zealand graduates to undertake research in the field of magnetic resonance science or engineering.